My preparation for combat airlift in Vietnam began years earlier. Duke required two years of AFROTC so I endured it. I didn't have much money for college and I wasn't eager to be drafted, so a college scholarship and an Air Force commision were appealing. 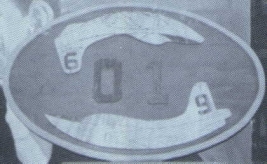 My junior year at University of Florida I got an AFROTC scholarship, which meant that if I did well I'd be commissioned as a second lieutentant; if not I'd be enlisted as an airman. One way or the other, I'd be in the Air Force two years hence. My senior year I enrolled in AFROTC Flight Instruction Program (FIP). I learned to fly a Piper Cherokee and the USAF learned that I was worth sending to pilot training. Pilot training would mean spending 5 years in the military rather than 4, but the Air Force was all about flying airplanes and I wanted to be on the first team. My FIP was at Sieg Field, near Gainesville. It had a 2,000' grass strip and a wooden shack that could hold two people. After 20 hours of flying I earned my private pilot's license. Most ROTC graduates received a reserve commission, but I did well, and when I graduated from UF the Air Force gave me a regular commission. They sent me a hundred miles up the road to Moody Air Force Base in Valdosta, Georgia--next to the Okeefenokee Swamp. This was my first real assignment--Undergraduate Pilot Training--the year of 53 weeks. 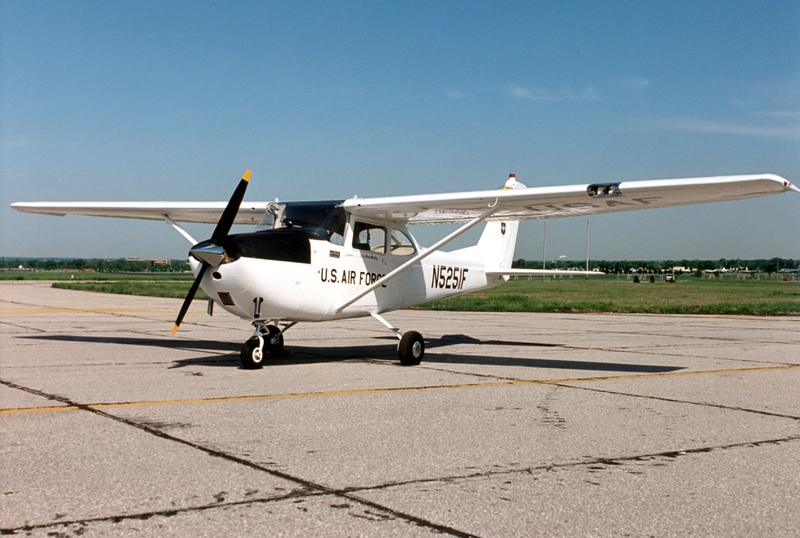 First I flew the T-41 (a Cessna 172 without wheel pants), nicknamed the "Attrition Machine". The instructors were civilians and we flew out of Valdosta Municipal Airport. The Air Force wanted to weed out students at low cost before investing a lot of time and money. It worked. My T-41 instructor was "Similin' Jack" Fletcher, who was a former Air Force fighter pilot and a genuine hardass. He was the lead T-41 check pilot, so the one good thing about having him as your instructor was that you couldn't have him as your check pilot. He was the only teacher who ever made me cry. There was plenty of machismo among pilot training "studs". One day we were told we were going to watch a gory film about first aid. The sergeant said anyone who felt queasy during the movie should just put his head between his knees and wait for the lights to come up. We students exchanged knowing glances and chuckles indicating our toughness. When the lights came up there were quite a few guys with their heads between their knees. 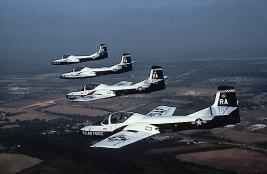 Next we flew 5 months in the T-37 "Tweetie Bird" and that's when we really learned aviation--emergency procedures, oxygen, parachutes, ejection seats, jet engines, hydraulics, fuel management, instrument flying, aerobatics, formation flying. We learned how high-G maneuvers (loop, cloverleaf, split-S, etc.) can drain the blood from your brain. When you pull more G's than your body is ready for, you get tunnel vision. When you pull even more G's, you grey out--you're still conscious, but blind. When you pull even more G's you black out--go unconscious. That's how Hartford, Connecticut's Bradley Airport got its name--its namesake blacked out in a high-G maneuver and augered in. We got pretty accustomed to tunnel vision--it told us to back off a little. Once I flew solo when I wasn't feeling well and I blacked myself out. When I went unconscious I apparently released the stick, which reduced the G-load. I woke up some seconds later with the airplane in a steep bank and heading for the ground. I shook for a little bit, flew some lazy 8's, then returned to base. Finally we flew 6 months in the supersonic T-38 "White Rocket". 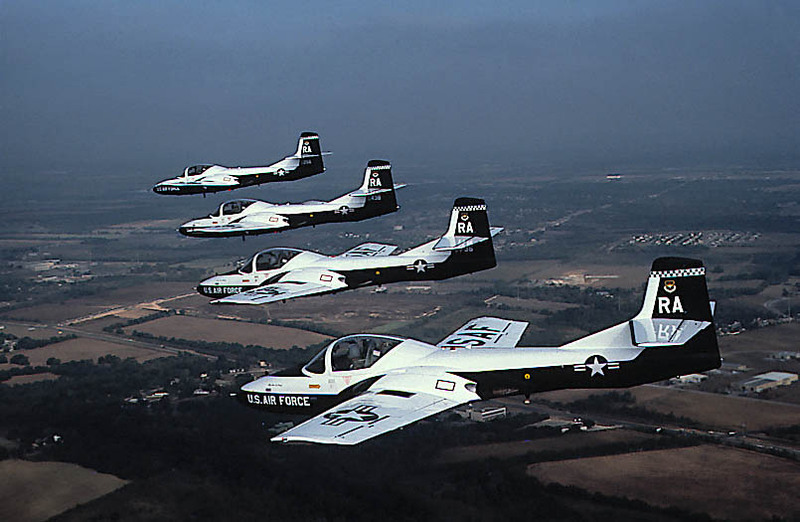 Everything happens twice as fast in a T-38 as in a T-37 and four times as fast as in a T-41. For example, its landing speed is faster than the top speed of the T-41! The T-38 is quite unforgiving of sloppiness or relaxation. It also has a high pilot workload--if you are flying along straight and level not doing anything, you probably just forgot to do something important. If you can make this airplane do what it is capable of, you get your wings. Many of my classmates washed out. 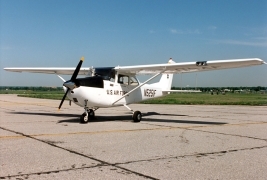 One student had over a hundred flying hours before he arrived at Moody. He could certainly fly the T-41; he just couldn't do it The Air Force Way, so he washed out. One student had been knocked out for a few seconds during a basketball game at the Air Force Academy. He was washed out because he admitted he had been unconscious at some point in his life. Another student just couldn't get the hang of formation flying. One clanked up during a parachute landing and broke his leg. Others simply failed check rides. 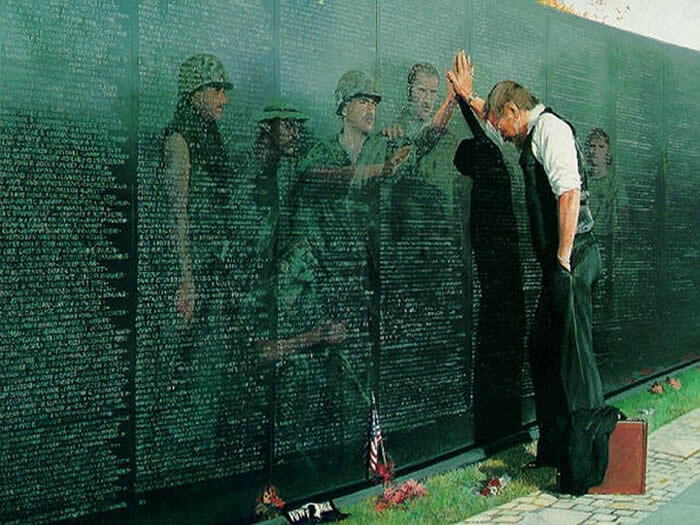 For those who persevered, class standing determined your assignment. If you were #1 you got first pick from the block of assignments. If you were last, you got the least desirable assignment. I was pretty high in the class so I got my second choice--a C-141 Starlifter at Travis Air Force Base, California. 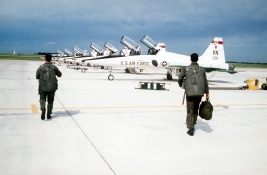 The war took the lives of five graduates of Moody AFB class 69-01.